I was a huge Lance Armstrong fan. In all the years I’ve been cycling – 15 to be exact – he has been the epitome of strength and determination to me. 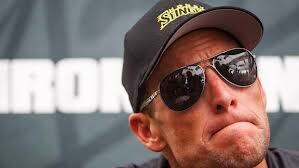 As everyone knows, however, he has been dogged by rumours of doping year in and year out. Throughout it all, my desire to “believe in miracles” (his words) remained unwavering. After all, how not to be enamoured by his superhuman ability, hard work, and defiance of the odds? Over this period, I was also felt fortunate to see Lance in person - twice. In fact, the second time was precisely at this time last year, and an occasion I found out about at the last minute. I could hardly contain my excitement. At that point, investigations against Lance were intensifying, but he was managing to keep them at bay as he always had. Though I still “believed”, I admit that I was finally losing my patience with the doping allegations against so many riders, that by the time the summer’s pro events rolled around I was frustrated enough not to follow any of them. Then, after all these years “it” finally hit the fan. With 10 former teammates willing to testify against him, Lance was formally charged with using performance enhancing drugs. He failed to block the doping case against him and a 200 page report entitled "The Reasoned Decision" was published in its entirety online. And damning it was. In August, Lance was officially stripped of his seven Tour de France titles and was given a lifetime ban by the U.S. Anti-Doping Agency. If that weren’t surprising enough, in October, he lost almost every major sponsor and stepped down as Chair of Livestrong, his cancer fighting charity. In November he left the board of directors . At least six of his teammates were suspended for confessions. I couldn’t deny it. My hero was no longer. As has been characteristic of his career, opinions on Lance remain polarized despite the fallout of recent months. Some steadfastly support him for all he's done for cancer research , while others cannot forgive the lies. In the words of Floyd Landis, no one can deny that he was “a badass on a bike”. But does it count if the road to victory is paved with lies and intimidation? Does it make it okay because "all the riders were doping"? No. Not to speak of the intangible impact this has had on cancer survivors. To those waiting for an apology I say don’t hold your breath. Though a light has personally dimmed for me, like anything in life, the key is to accept and move on. I wish Lance well in doing so. So all things considered, I ask again one year later, do you think it's better to reveal the truth at all costs or to leave well enough alone? All things being equal (ie all riders doping), Lance was still the best. Maybe ask yourself why is was a hero to you. Was it because he was the best or was it because of his determination? Imagine he was the only one doping and his runner up ended up being the champion. Would the runner up be your new hero? I'm going to guess that he wouldn't. Hmmm, maybe Lance was also the best looking....?